With a predominant tertiary colour palette, plus monochrome styles and the classic all black/ all white, Ashley and Mary-Kate’s clothing line makes subtle yet distinguished statements, for Spring 15. Overall giving the The Row spring 15 collection a unique, outstanding and luxurious collection. This collection echoes the styles of the ancient world with a variety of influences. We can see the flowy drapery of the ancient Roman, the detailing of the traditional styles of the East to the fluid tunics that the Byzantine style is famous for. At the time, much like today, clothes played a role between identity and function allowing the fabrics to differentiate rich from poor. 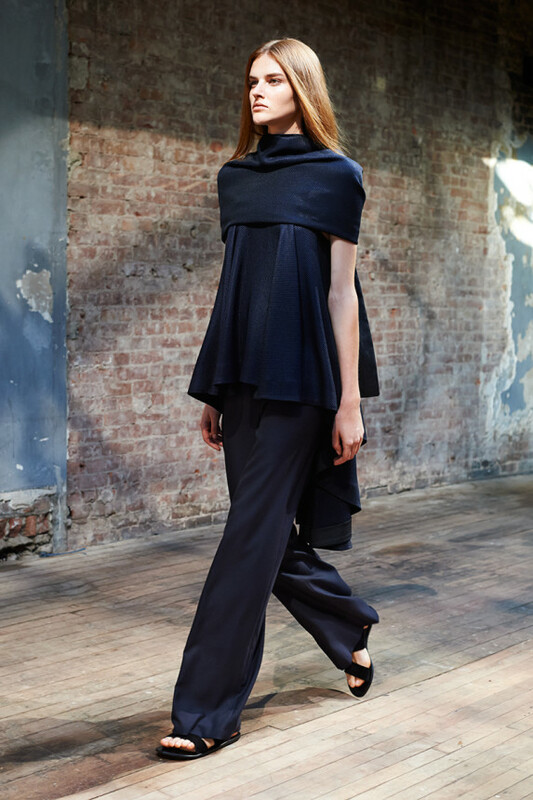 With this collection, the Olsen sisters have given The Row woman a new aspect of cool, chic and comfort.